2. 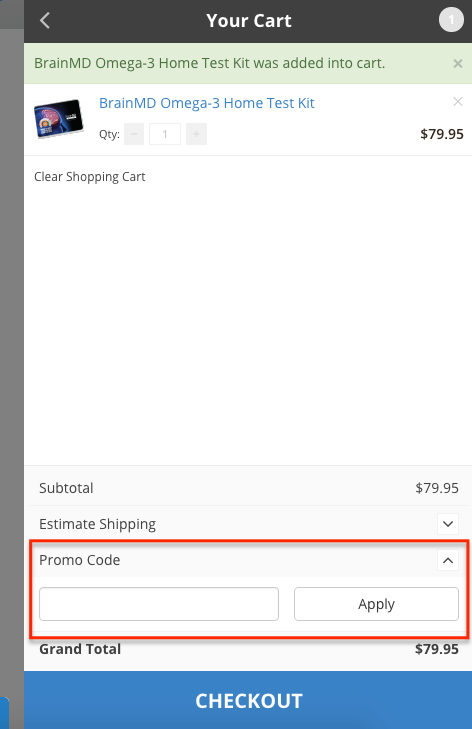 Locate the "Coupon Code" field at the bottom of the cart. Enter your coupon code and click "Apply"
3. 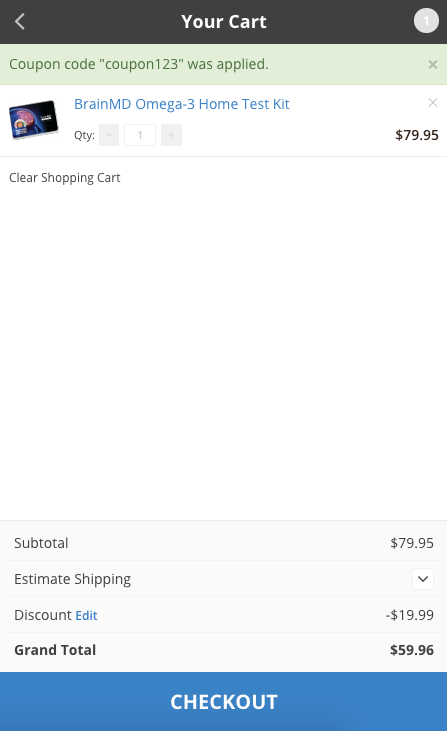 A green message at the top of the cart indicates that the coupon was applied and you will see a discount amount listed at the bottom of the cart. 4. Click on the blue "CHECKOUT" button to checkout with your items or click to the left of the cart to continue shopping.